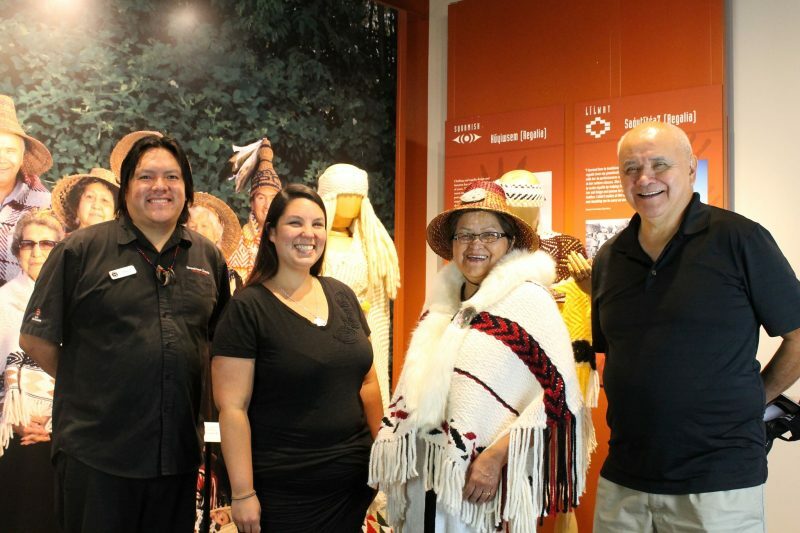 The Squamish Lil’wat Cultural Centre in Whistler has hosted a weaving intensive lead by Squamish Nation Elders Chepximiya Siyam Chief Janice George and Skwetsimeltxw Willard ‘Buddy’ Joseph to Apprentices Cheximiya Allison Burns Joseph (Squamish Nation) and A7xwil Travis Billy (St’at’imc and Secwepemc Nations, adopted into Squamish Nation) for the past two months. This transfer of knowledge from female to female and male to male is in line with traditional knowledge-transferring practices of the Salish peoples; these pairs have created two pieces side by side, one by the females and one by the males. The foursome built their looms together, designed their patterns, and have worked together for the past few months to create breathtaking speaker blankets, which will be unveiled at this afternoon event Wednesday, October 10. This 1 1/2 hour ceremony will begin at 3pm with light refreshments served afterwards. 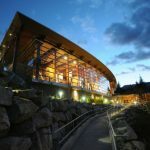 The unveiling will take place on the SLCC’s lower level in the Istken Hall and is free to attend; we welcome anyone and everyone who would like to witness a Squamish Nation ceremony. 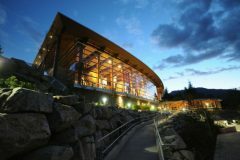 For guests looking to explore the museum on the Great Hall and Mezzanine levels, admission is still required and can be purchased at the front desk in the Great Hall.